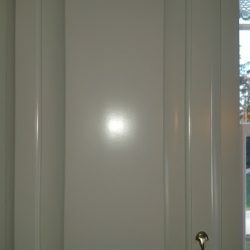 This finish is one of our all sprayed finishes in a poly based lacquer. 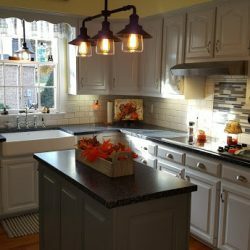 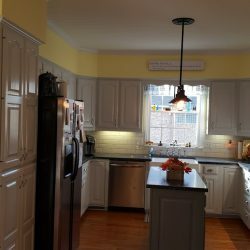 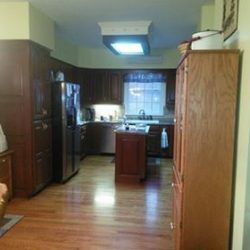 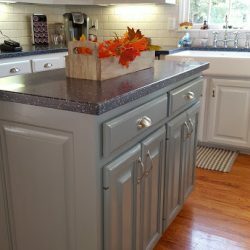 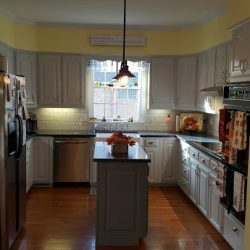 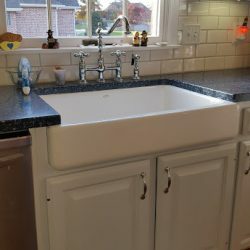 The color of the wall/ perimeter cabinets is shade of light gray (actually still considered a “white”), and the island is in a darker shade of gray with distinct blue undertones. 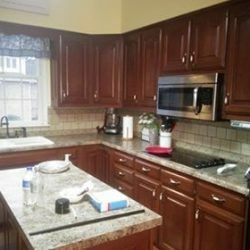 Click here to get your free onsite estimate and consultation set up today!